Bestselling recording artist Ashanti stormed the pop charts with her debut album Ashanti, going all the way to #1 and staying there for 10 weeks, garnering legions of loyal fans and earning her the nickname the 'Princess of Hip Hop.' 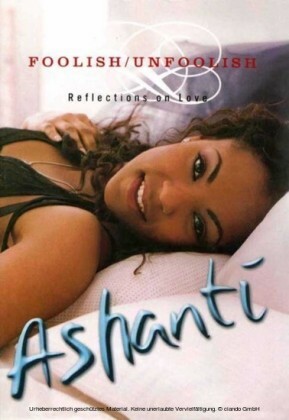 In Foolish/Unfoolish, Ashanti explores the same themes that make her music so real for her fans--stories of falling head-over-heels in love, becoming broken-hearted or insanely jealous, getting over it, and loving life. Spirited, moving, and filled with Ashanti's unique sense of humor, this collection of poetry and reflections will entertain and surprise as it offers an intimate look into the life of one of today's most popular performers.